Served in a traditional Iwachu teapot with the house hot tea, small touches bring culture into the modern space. 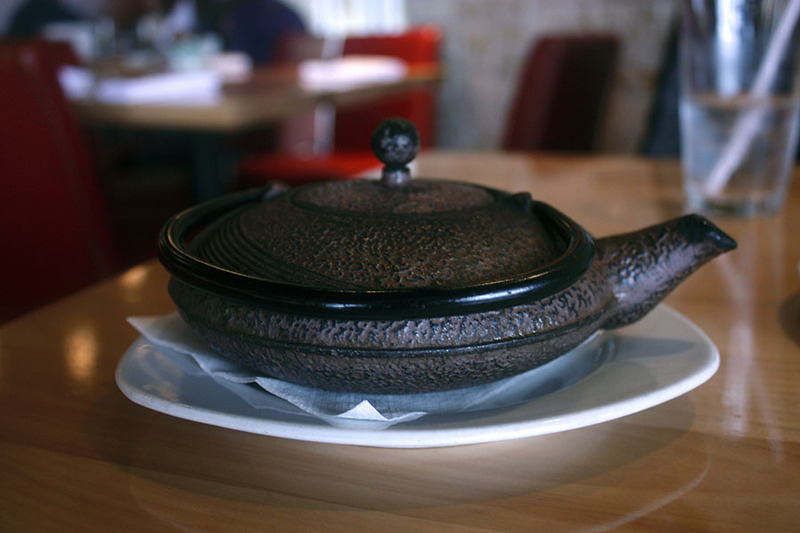 Tucked beside a Jersey Mike’s sub shop and doughnut shop is Shabu, Austin’s first hot pot restaurant. This pan-asian noodle bar serves a small menu of Chinese dishes and a full hot pot selection, including noodles made in-house daily. The hot pot is an Asian stew flavored with herbs or spices that flavors the side dishes; most hot pots include meat, starches, and vegetables. Shabu makes it easy to decide for a hot pot novice by providing a sheet with the choices offered. After filling up with some delicious food coupled with quick service and a quiet ambiance, I rate Shabu a 4 out of 5 stars. The service is relatively quick, the real delay is waiting for the hot pot to boil which takes about ten minutes. The experience of “cooking” food in the hot pot is more interactive and makes a great group activity. There’s something that everyone can enjoy on the menu and bond over a new adventure into pan-asian cuisine. For our herbal flavored hot pot, I ordered shiitake mushrooms, baby bok choy, chicken, egg noodles, and rice vermicelli. It’s recommended to cook the chicken first, as it comes raw and takes the longest. Despite having to wait for the chicken to be cooked, it was thinly sliced, tender, and pleasantly flavored from the herbs. The slight bitterness of the boy choy and earthy mushrooms complemented each other well. The noodles were a nice accessory to the meal, providing a warm, homely feel that ended the meal perfectly. At $4.50 for a hot pot and about $4-5 per dish, it can become pricey quickly. But, one hot pot, a meat dish, a starch dish, and one or two vegetable dishes is enough for three to four people. 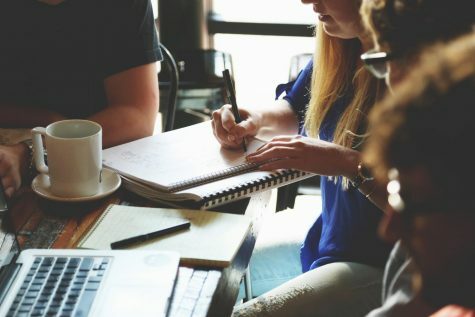 The restaurant is on the fringe of an open-air shopping complex called The Village, which houses a coworking space and boutique shops surrounded by a small pond and lush greenery. Taking a walk through the park was a delightful end to a hot meal shared by friends. 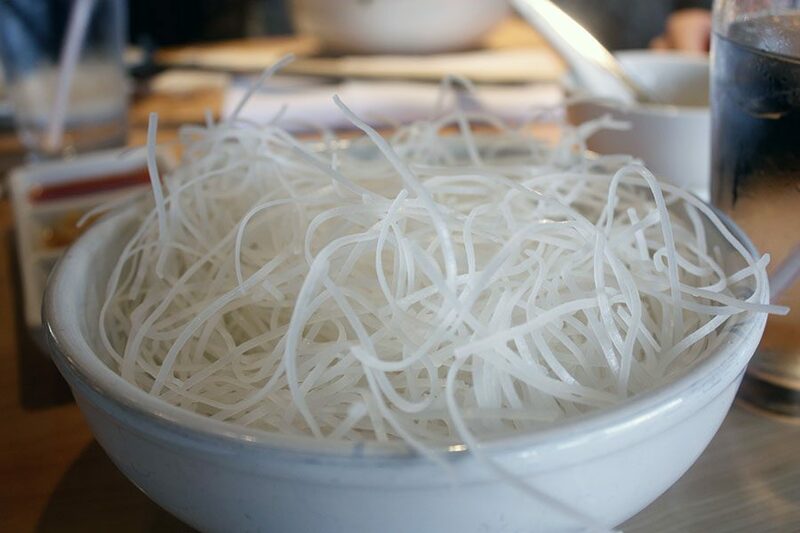 The vermicelli rice noodle is one of six varieties of noodles Shabu offers. This kind of noodle is common in soups or stir frys.